Let's check our Demo to get the real experience now! 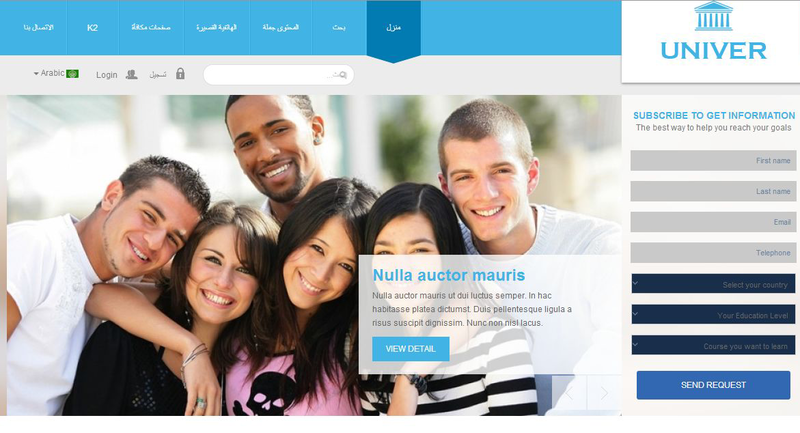 By using the latest web development techniques: BOOTSTRAP, CSS3, HTML5 and LESS, the template is extremely flexible to customize. It is designed to adapt any screen resolutions with user friendly and best ever layouts. Moreover, with these advances, they allow you to optimize page loading speed effectively. The template comes up with 5 different Preset Color Styles: Blue (default), Cyan, Green, Orange and Red. Just pick up the favourite one. 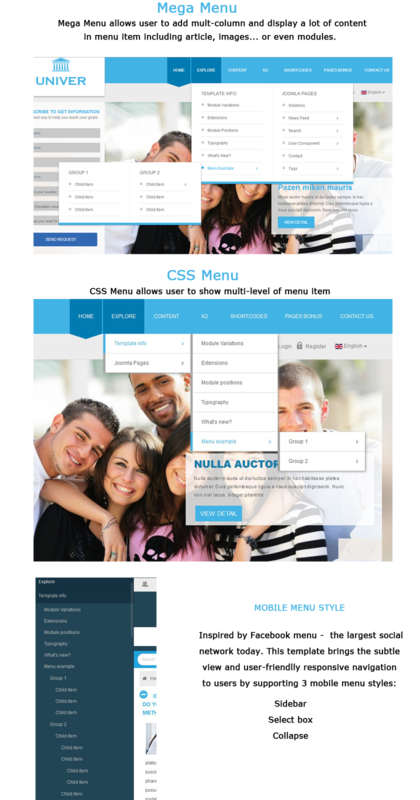 Besides, you can style all parameters’ color: body, header, spotlight, footer...by using c-Panel. 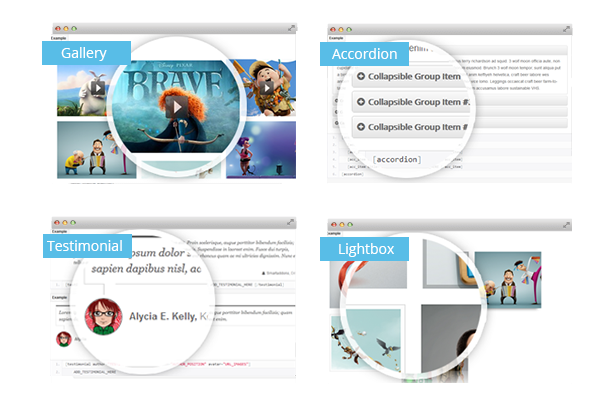 It absolutely allows you to control color schemes in back-end. As said before, SJ Univer is integrated with a powerful framework – YT Framework v2, it is totally appropriate any devices. 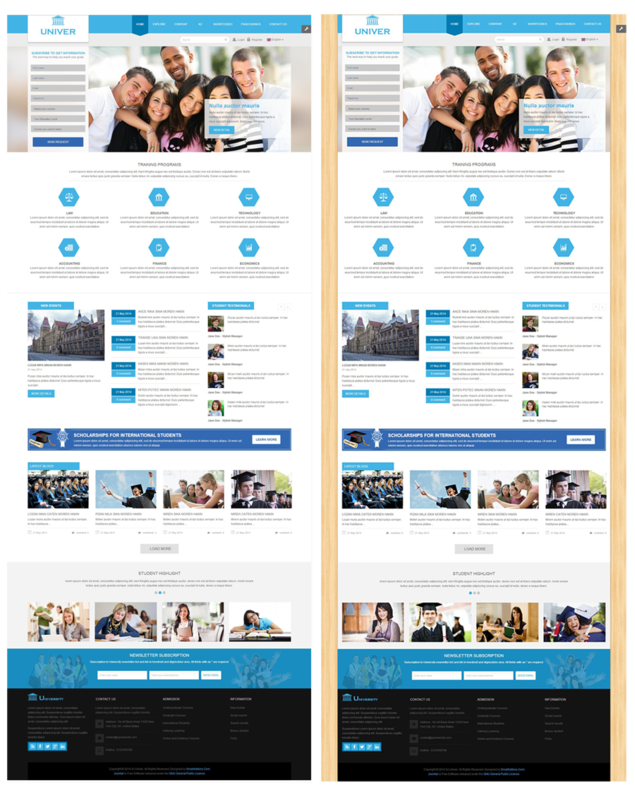 For this feature, you can surf your website in any devices from PC to portable devices: laptop, smartphone, tablet... without any web layout quality changing. 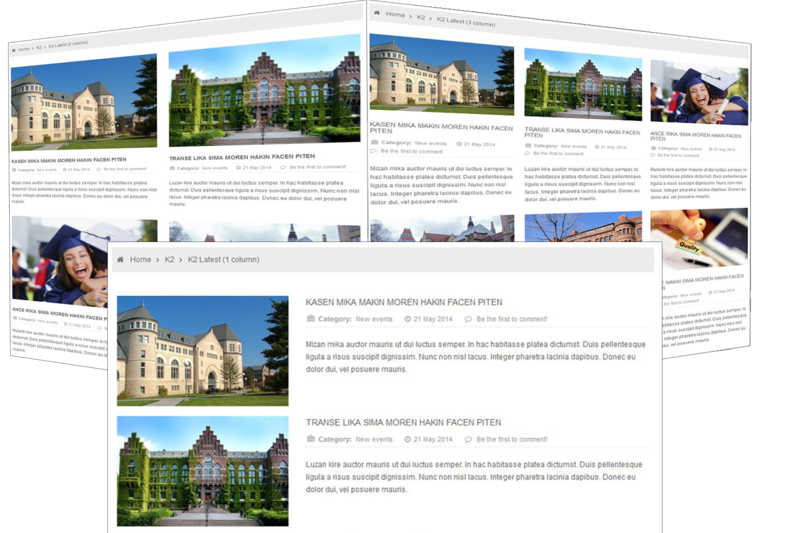 Designed for educational website, SJ Univer is equipped with the best content extension - K2. This extension used by millions Joomla users around the world, become easier than ever to build a nice blog right on your website. 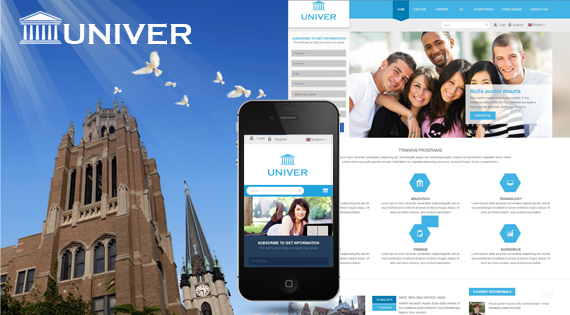 Specially, SJ Univer has lots of bonus page which highly support for educational purposes. 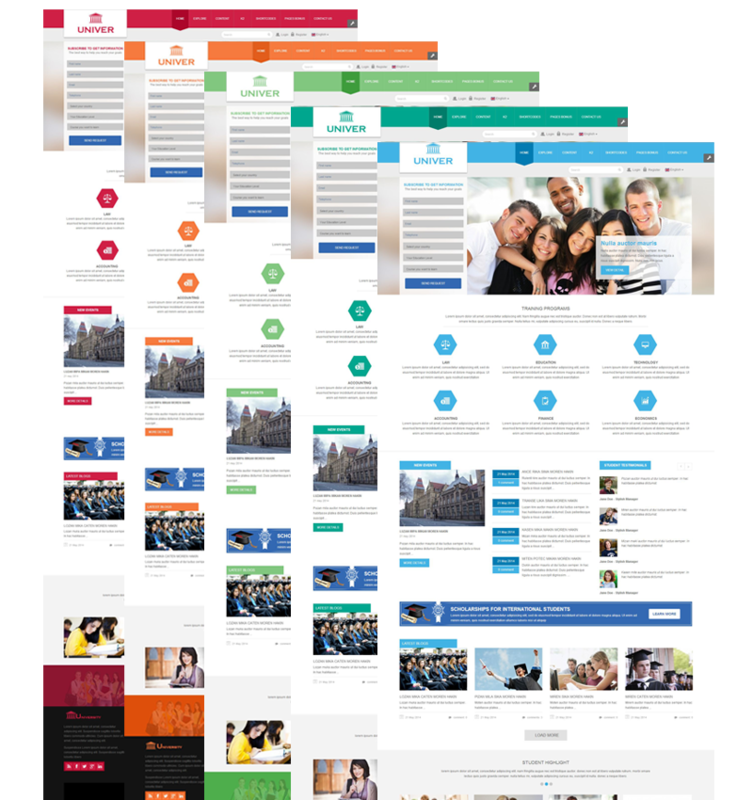 Thanks to these awesome bonus pages, you can build an extremely powerful Joomla site with minimum effort. Last but not least, SJ Univer is equipped with an easy-to-use Subscription form which is very useful for people who are interested in the school's programs. Users only need to full fill the form with their wanted courses. They will be received all needed information about these courses via emails. Your website will become more powerful with this awesome section. This package includes template, modules, plugin and sample data. 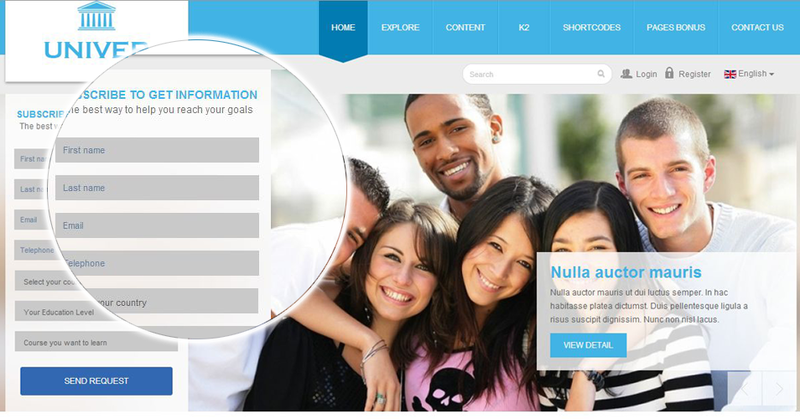 By using this package, you will have a complete site look like demo site.